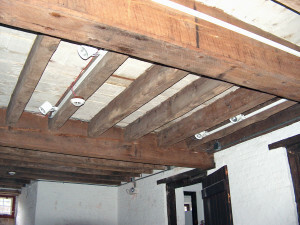 Splitting and twisting 300 year old (since it was harvested) beams. We epoxied threaded rods in place and then capped the bottom holes with matching wood. Each plug was individually stained to match.